Apply at Supermarket Auchan – No 856 Au Co street, ward 14, Tan Binh district. - Does not apply for delivery and take-away. - Does not apply for Membership Card, Prepaid Card and voucher. 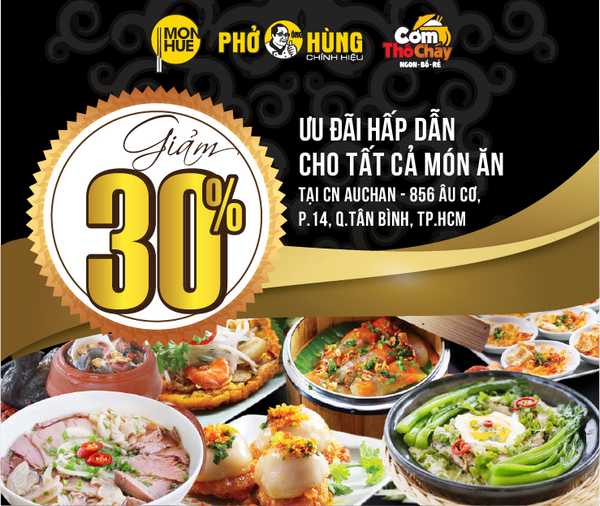 Welcome to Mon Hue restaurant!